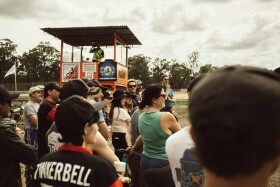 THE CHURCH OF SLIDE RETURNS. 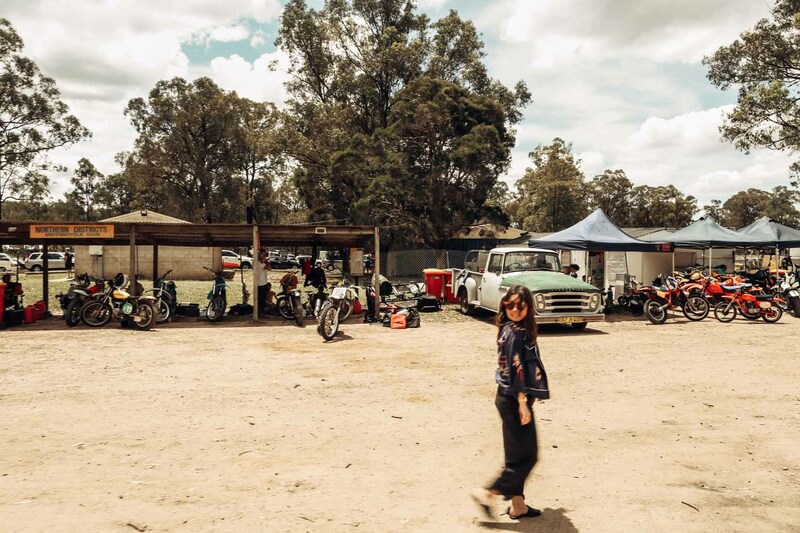 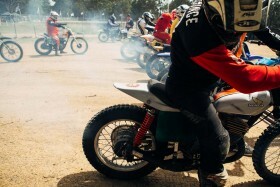 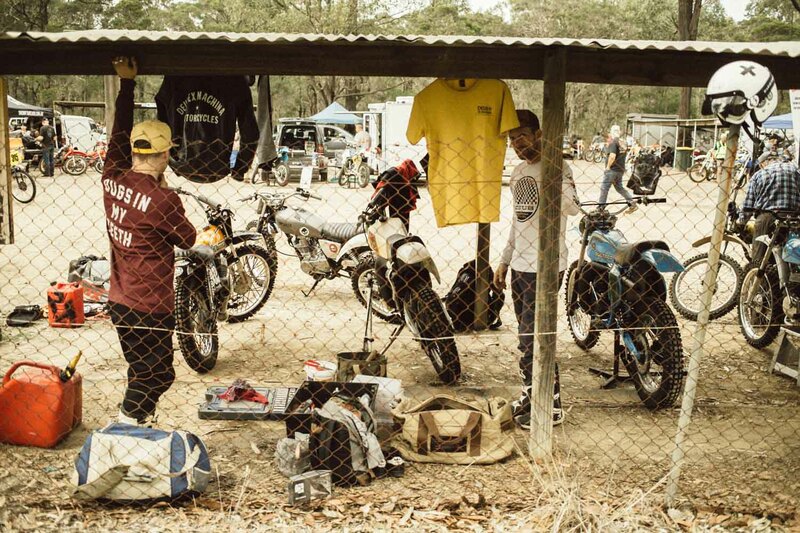 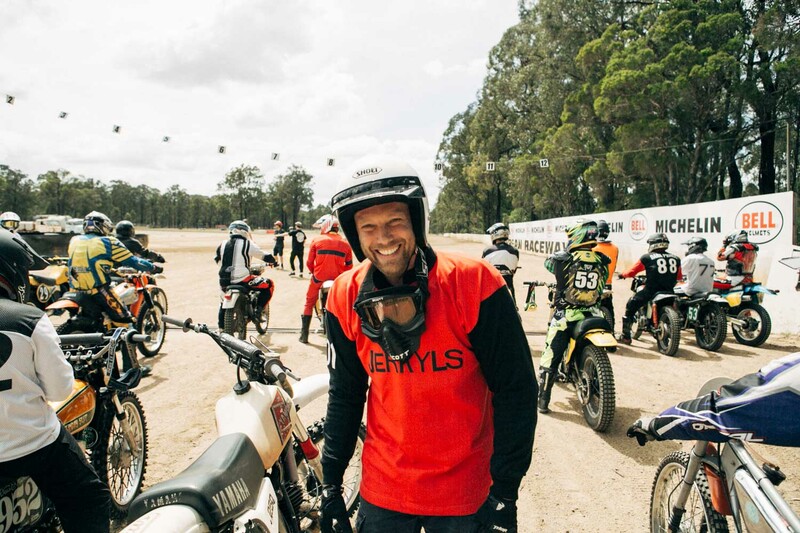 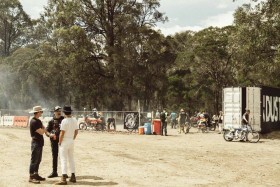 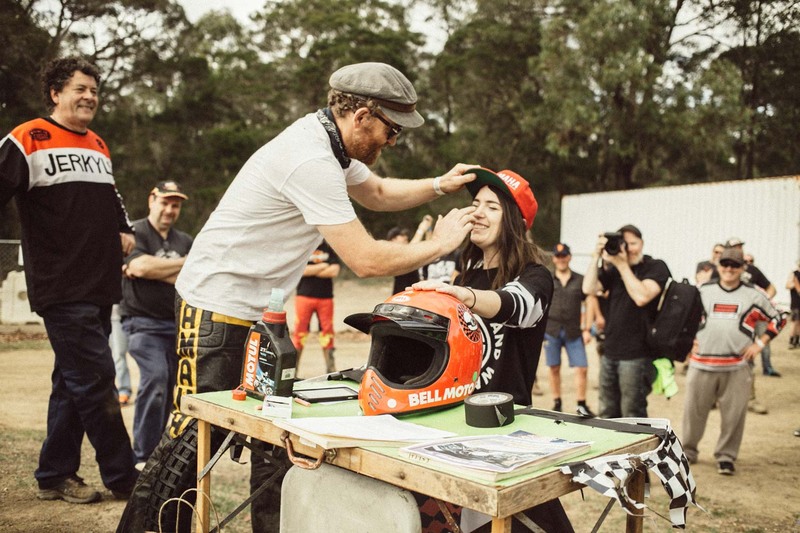 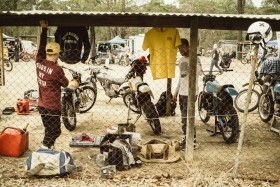 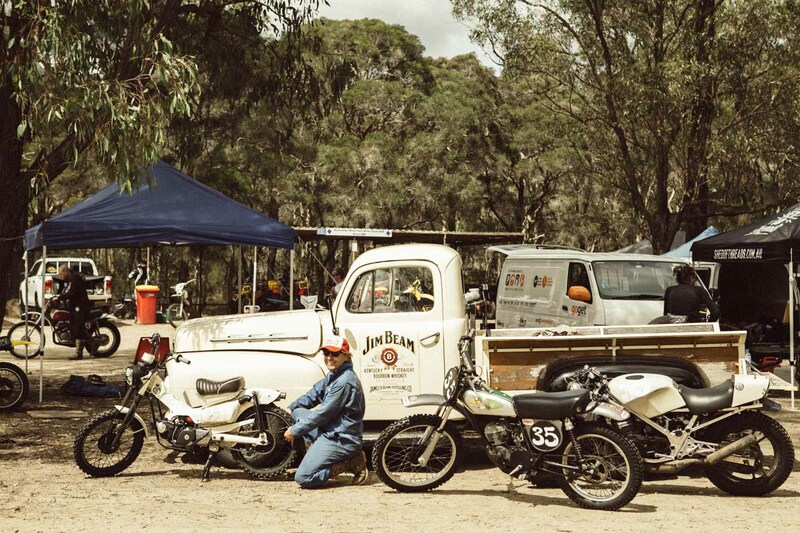 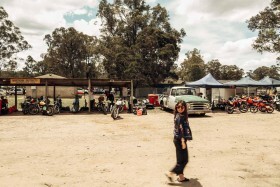 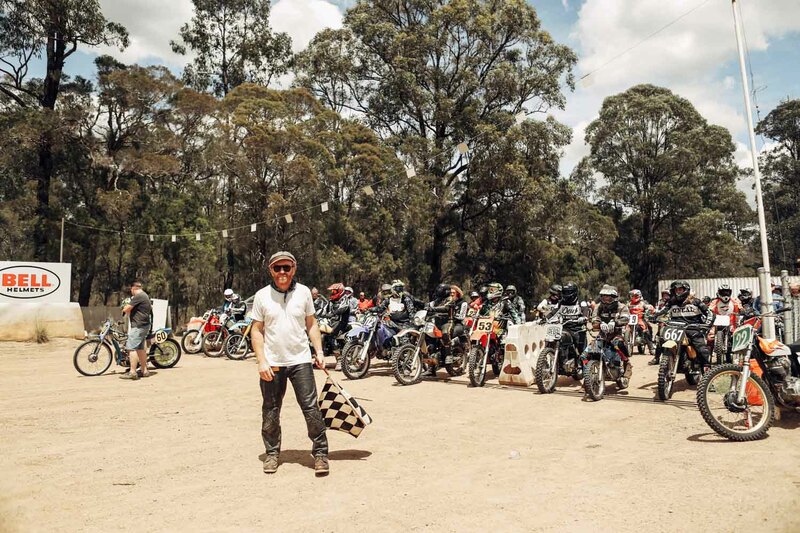 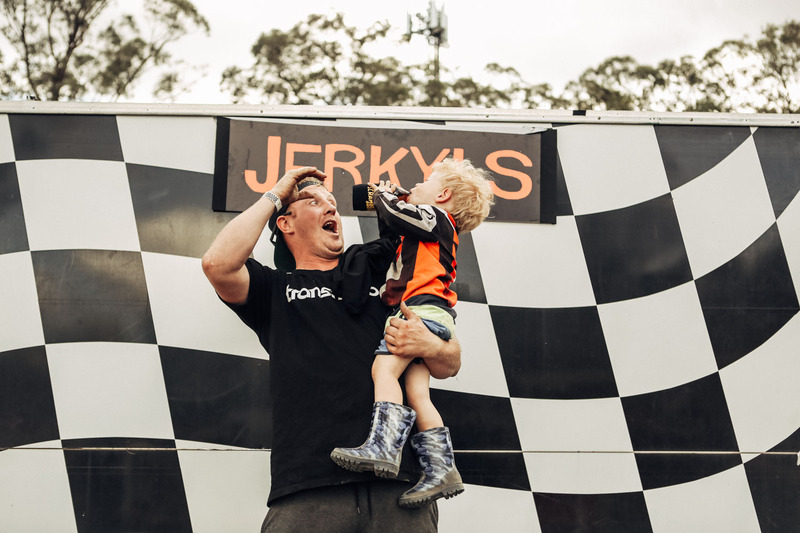 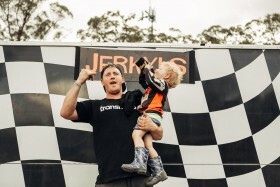 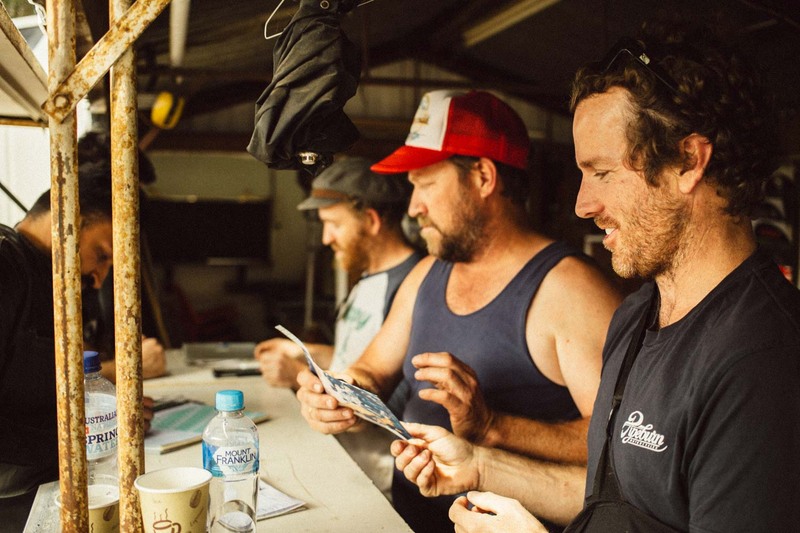 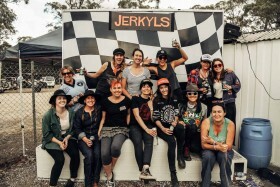 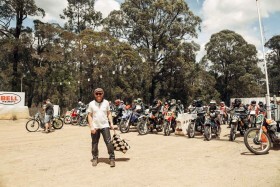 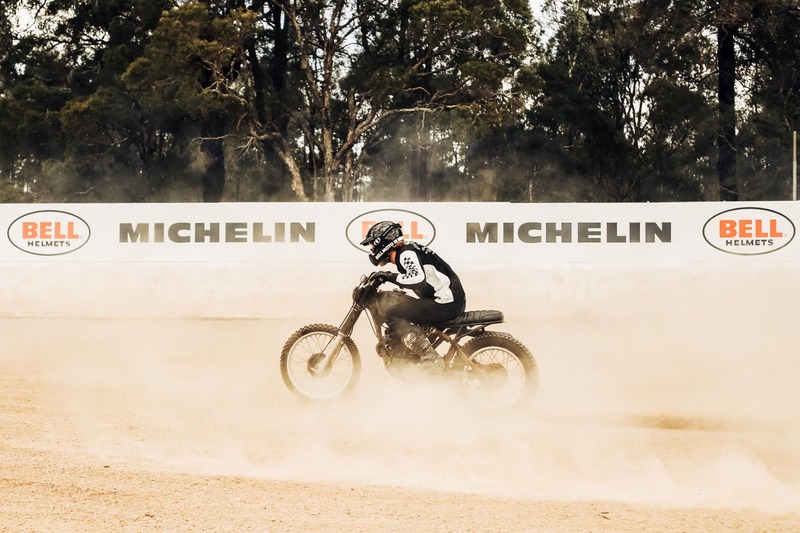 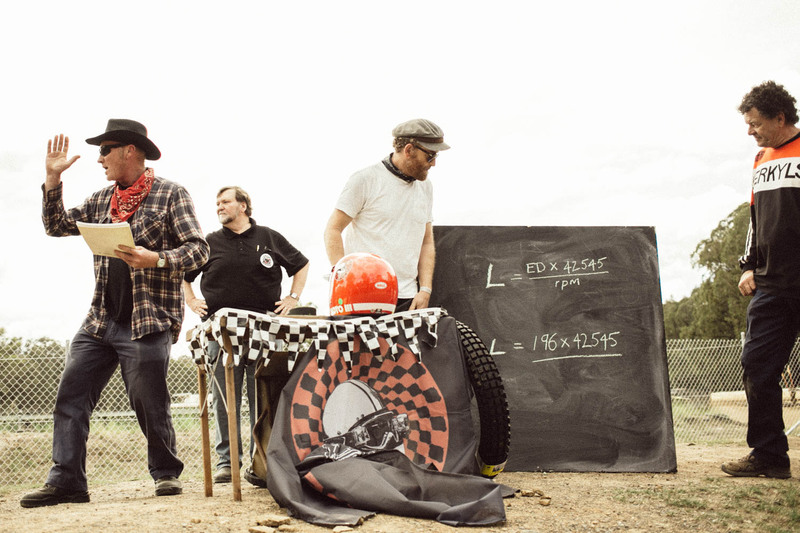 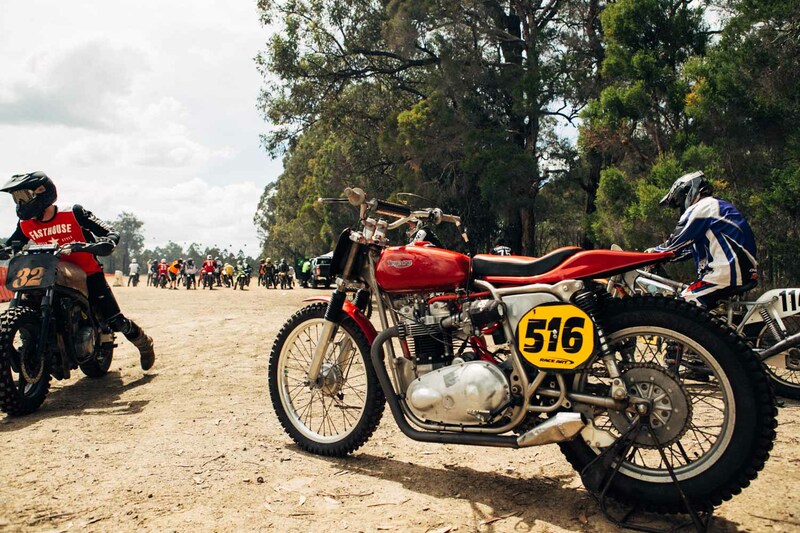 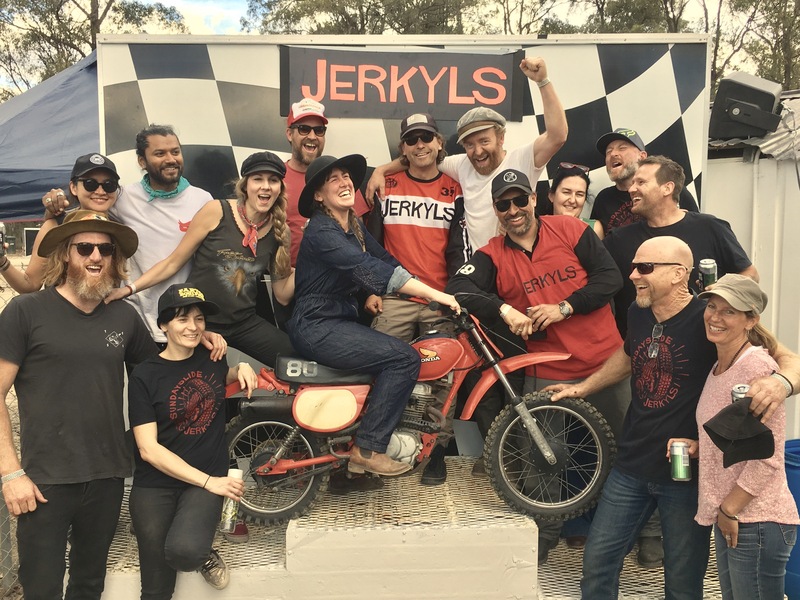 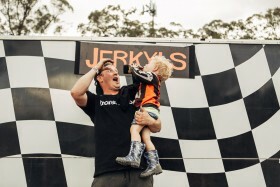 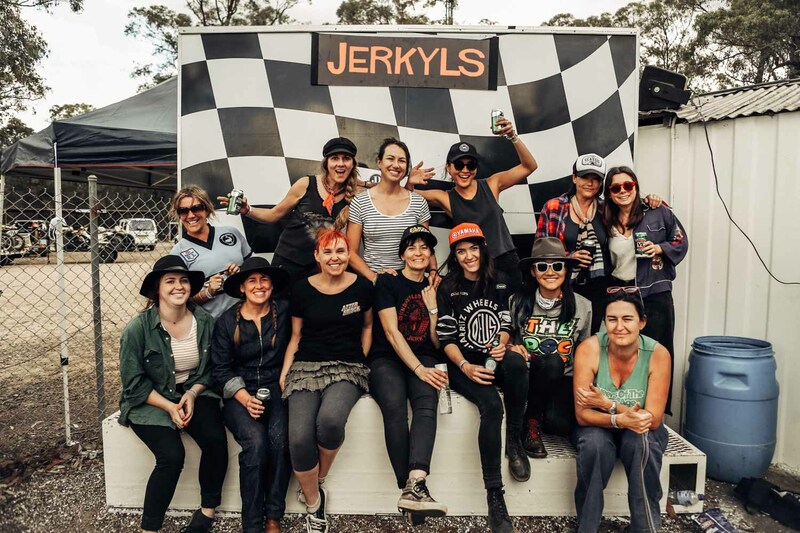 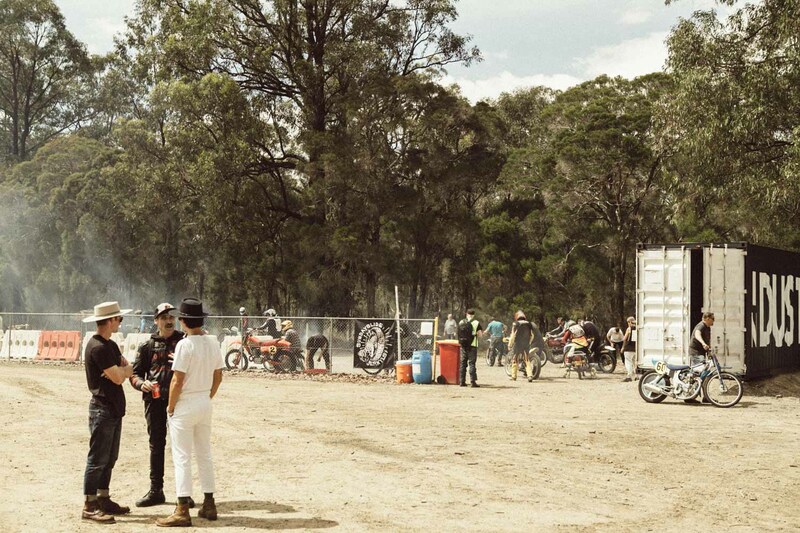 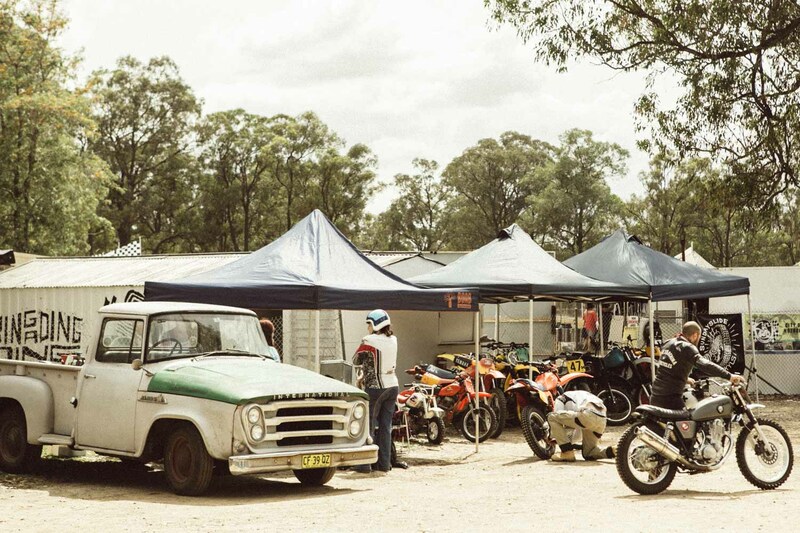 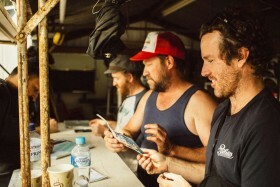 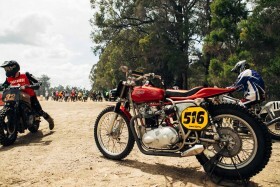 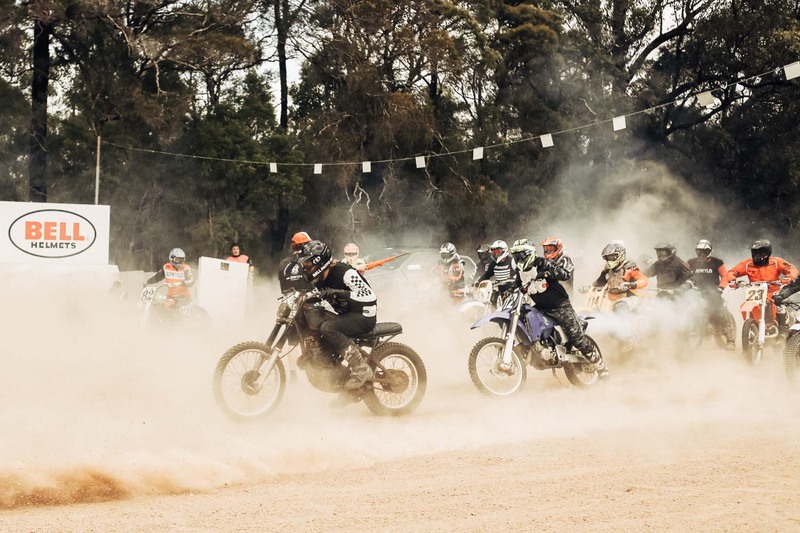 As the year goes by there are few events in the Motorcycle calendar that come close to the excitement and accessibility that Andy Baker from The Jerkyls puts on with Sunday Slide. 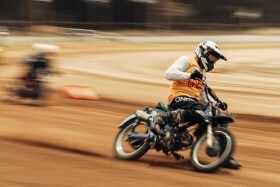 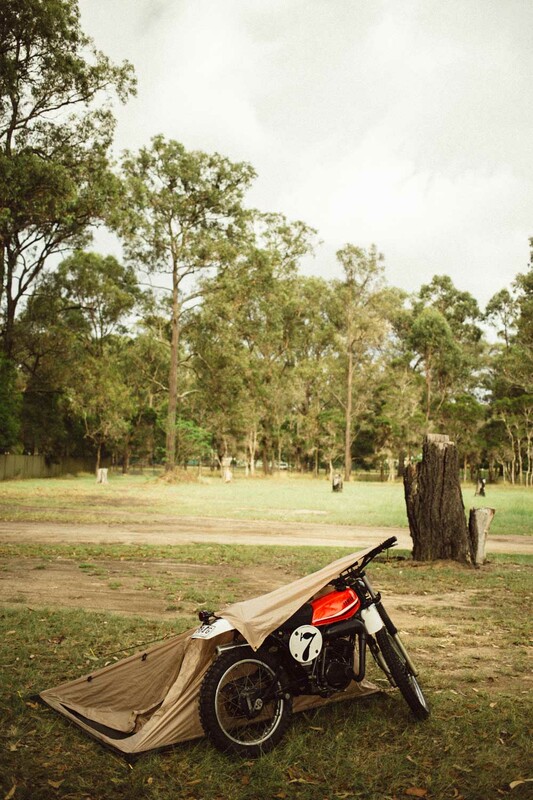 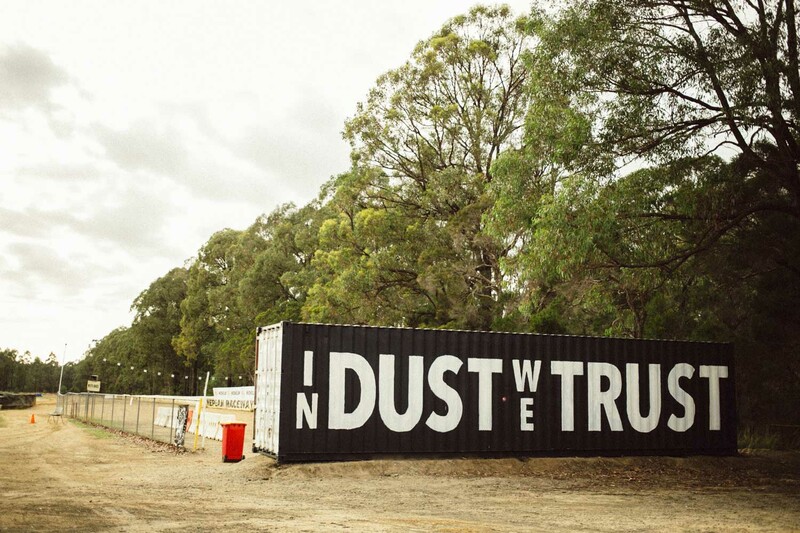 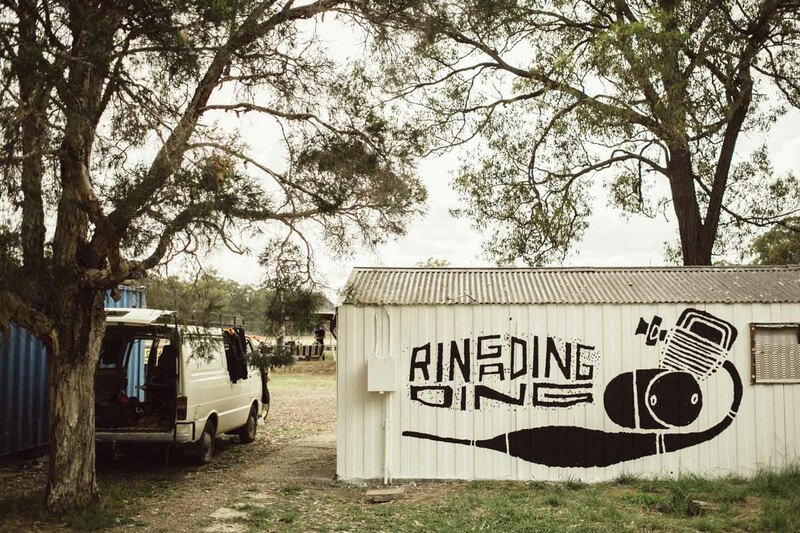 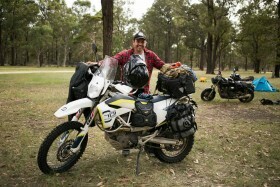 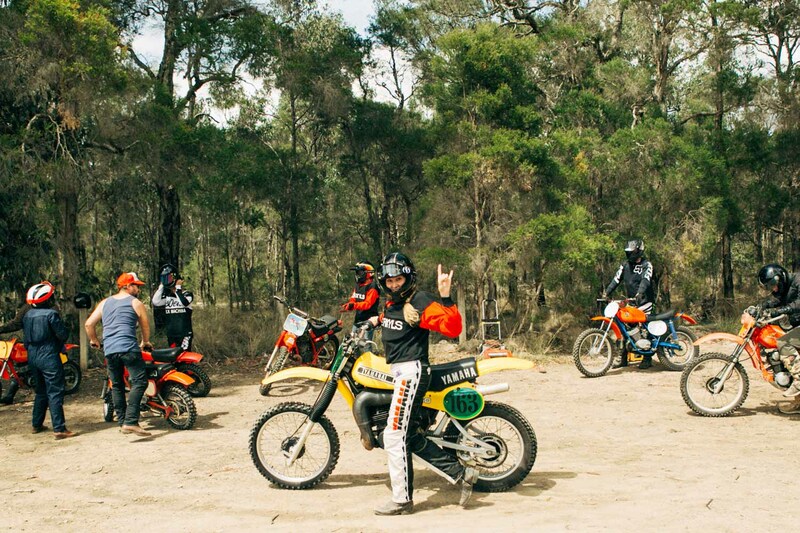 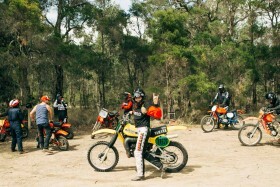 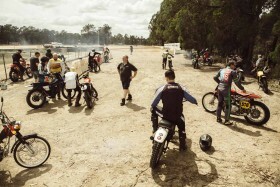 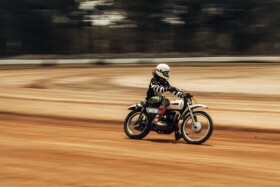 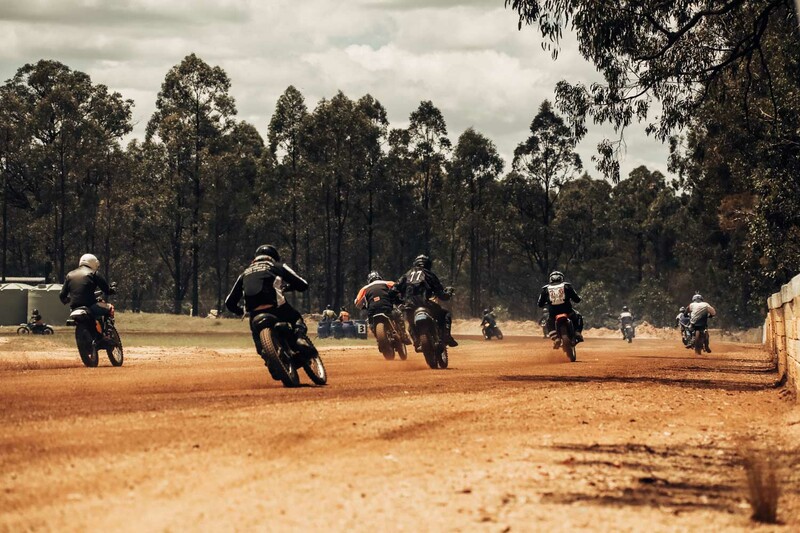 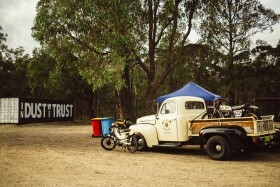 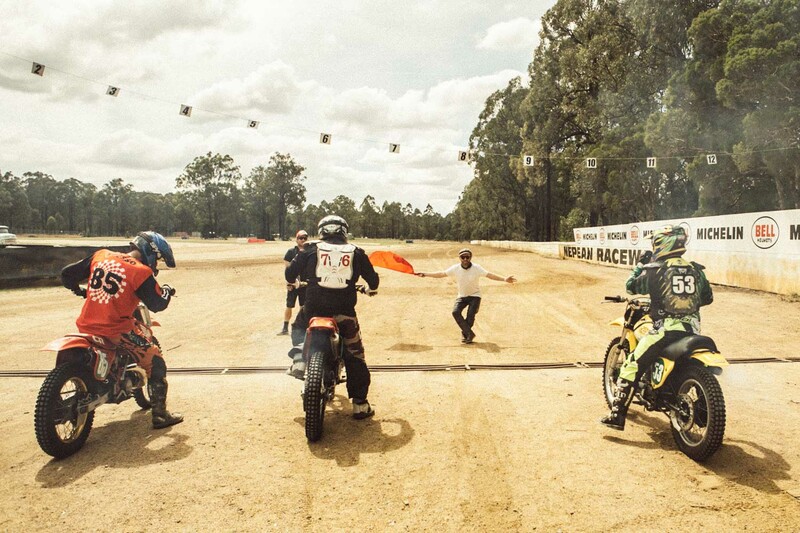 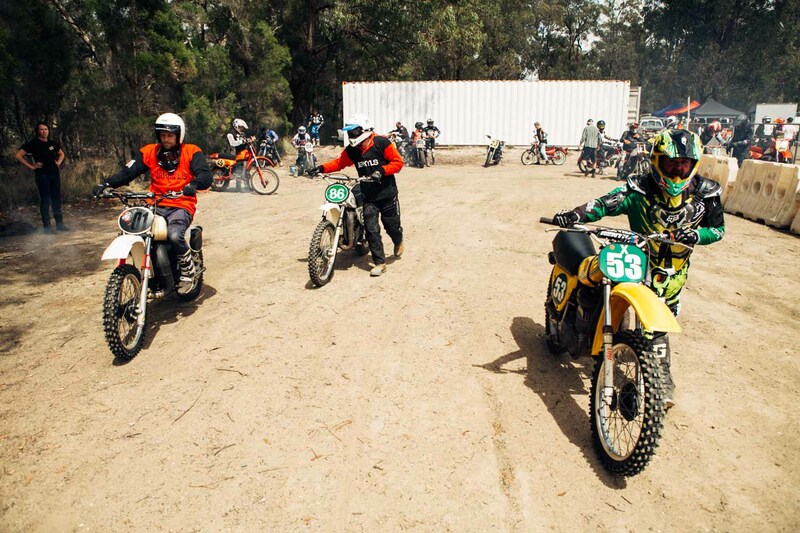 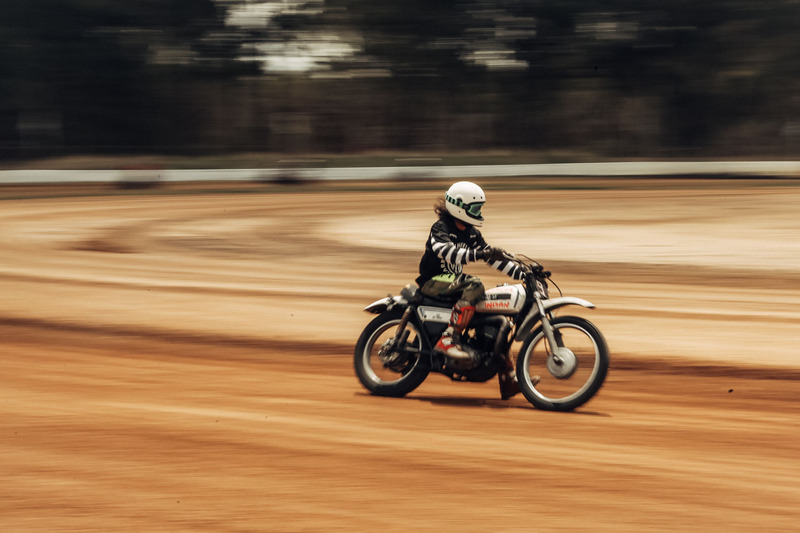 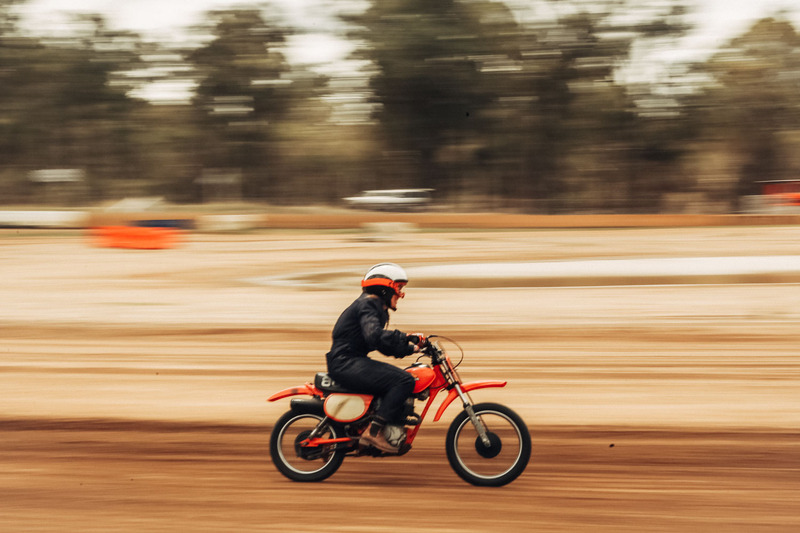 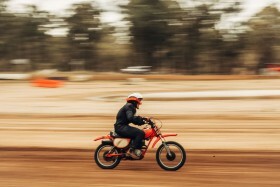 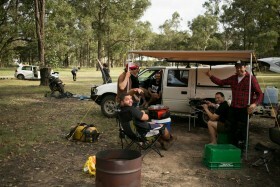 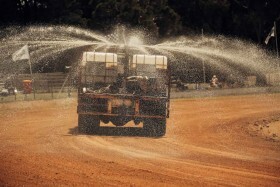 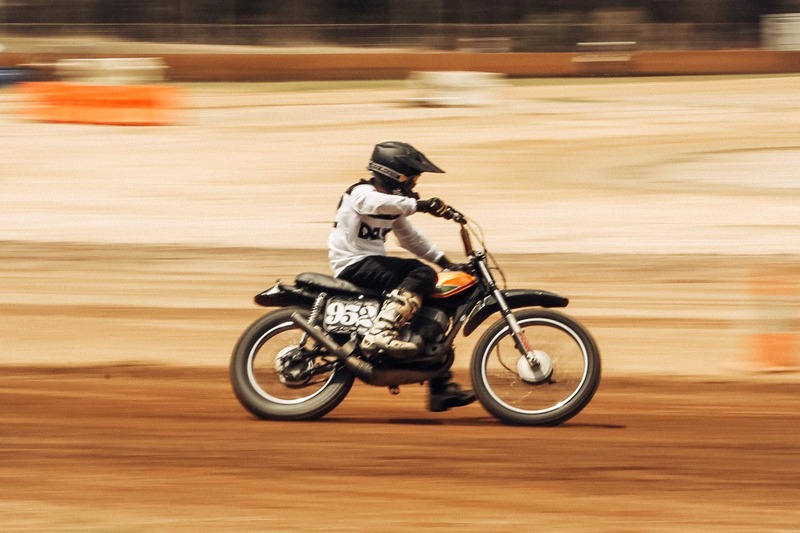 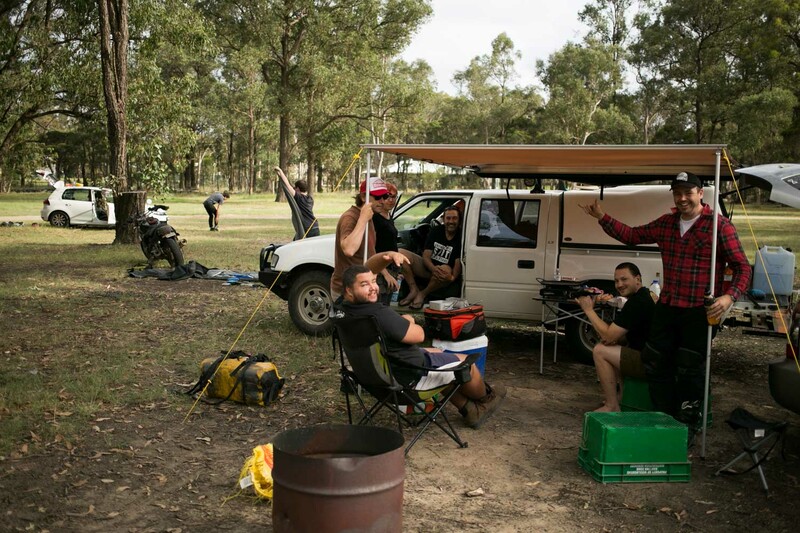 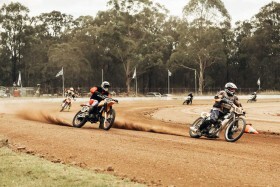 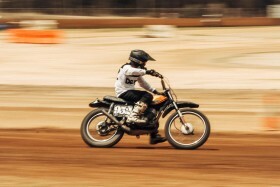 I mean, where else can you go and ride on one of Australia’s oldest, fastest and longest dirt tracks on a Postie? 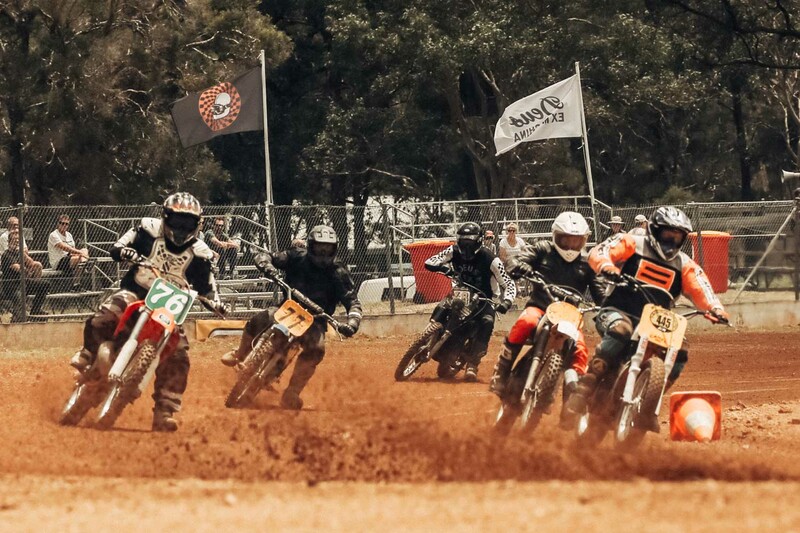 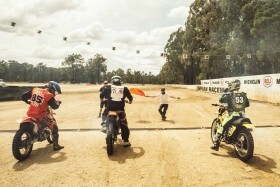 Sunday Slide is currently in its 4th year and usually runs a few different categories that piles similar skilled and biked riders out on the track at the one time. 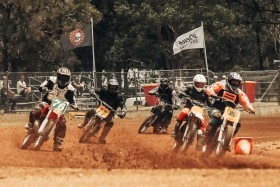 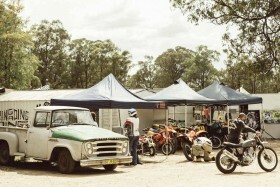 You can either get the holeshot on your sled/methanol dirt tracker or try and spin the rear wheel on your Z50 Monkey. 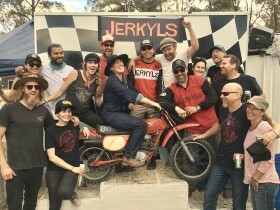 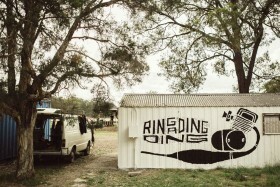 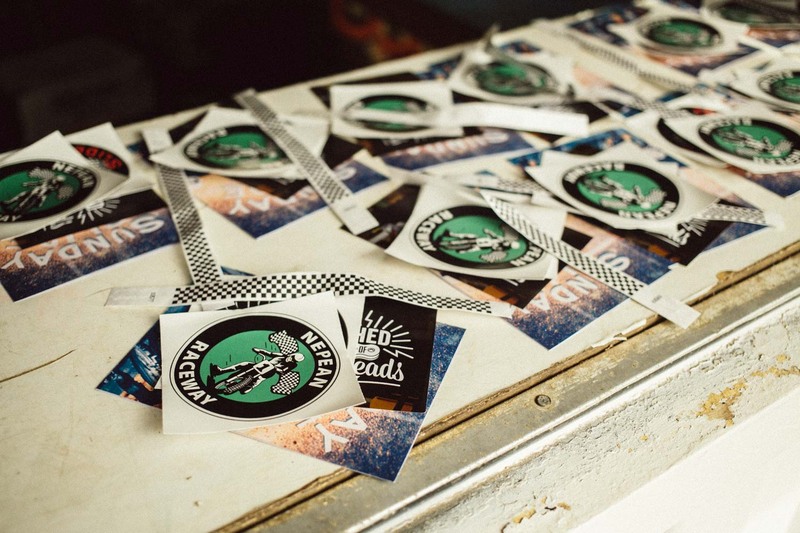 All are welcome and The Jerkyls grass roots style of event shines through like nothing else alongside the backdrop of Deus artworks on containers and buildings and the smell of 2-stroke. 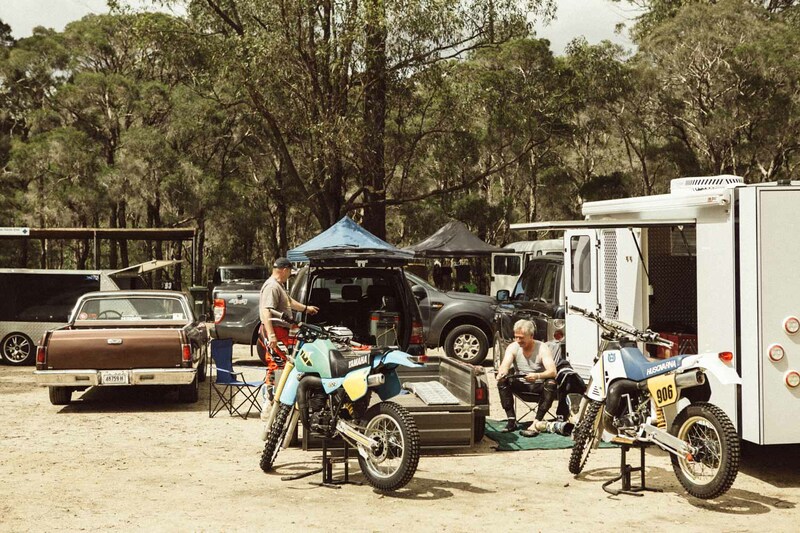 From where you’d rather be. 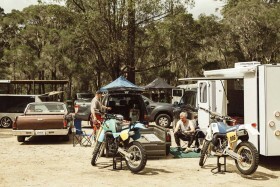 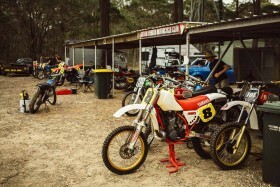 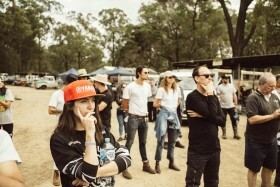 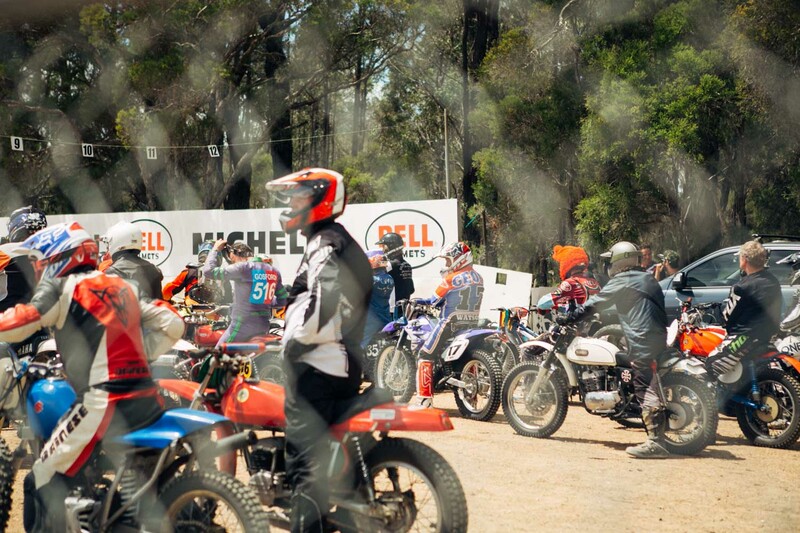 If you missed out listening from the bible of tuning a 2-stroke, the oily baptism into dirt track or the gathering of the wide-eyed and the drooling then keep those same eyes peeled for the next instalment of Sunday Slide. Coming sooner than you think. 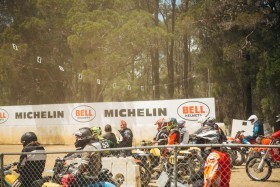 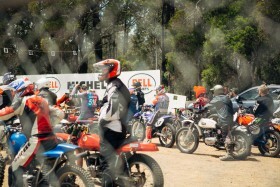 A huge thanks to Bell Helmets and Michelin for supporting The Jerkyls and Nepean Raceway. 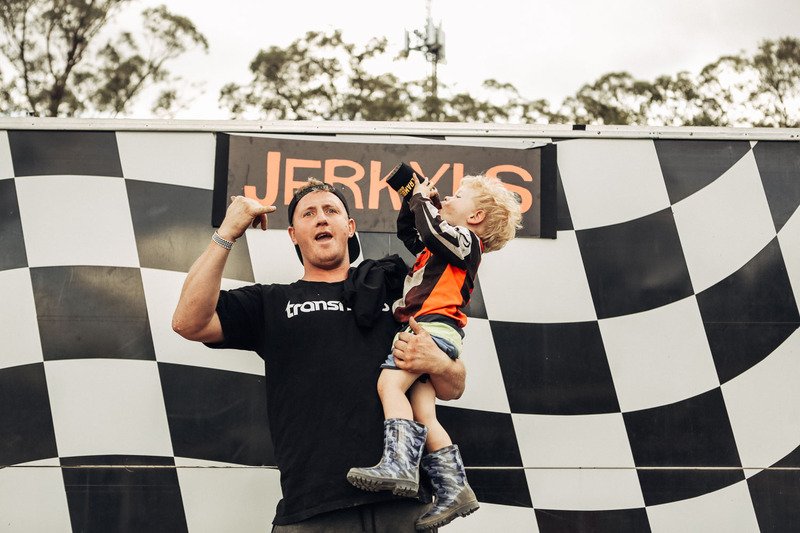 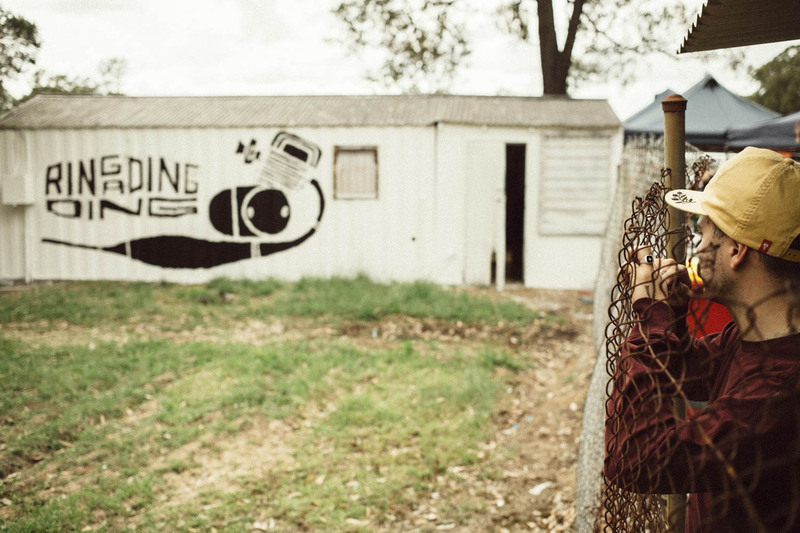 Check out The Jerkyls on Instagram here to see where the dust takes them.